Captivate with this mesmerising Iridescent Blue Faceted Murano Glass PANDORA silver charm, featuring deep blue Murano glass. Buy online or in-store.This item is a single charm only. Bracelets sold seperately. Styling images may show this charm on a bracelet as styling inspiration. 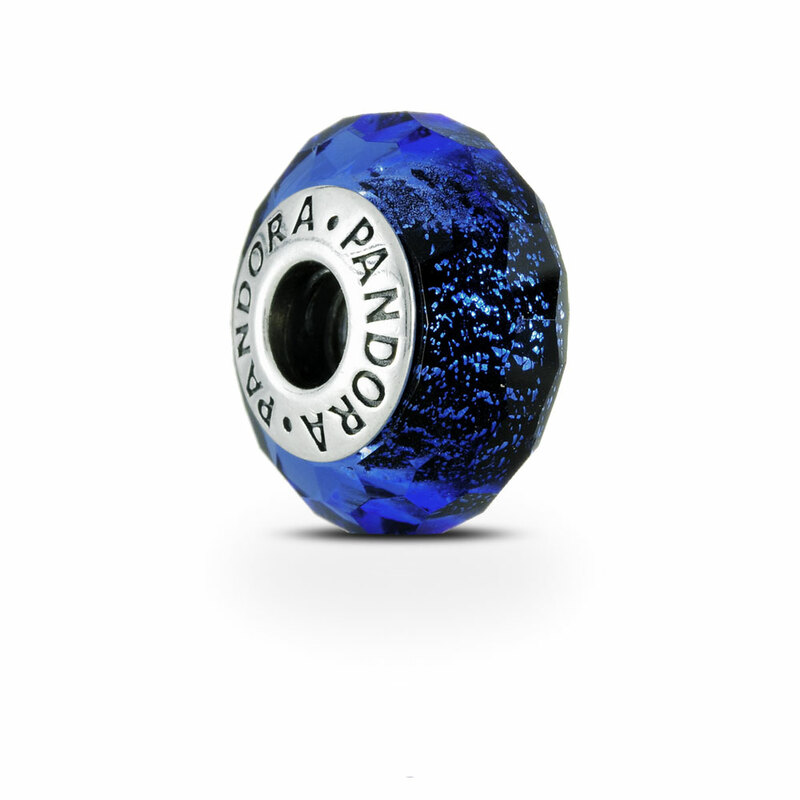 Iridescent Blue Faceted Murano Glass PANDORA Charm is rated 4.9 out of 5 by 13. Rated 5 out of 5 by MaryT66 from Gorgeous I have this one on my bracelet. It is so beautiful, that I bought two more for my grown daughters bracelet. She is going to love them. Rated 5 out of 5 by Sweething16 from Vibrant color w/silver sparkles I purchased this a little over a week ago and the website picture does NOT do it justice! It is a beautiful gem; vibrant sapphire blue color with an array of bright silver sparkles trapped in all of its' charm! Rated 5 out of 5 by Jaclyn from Starry Night Sky On a Bracelet Near Me I was looking for a murano bead and this fit the bill perfectly! My bracelet has a sky theme and when I saw this bead it made me think of a beautiful starry night. It looks great and gives my bracelet that "pop" I was looking for. Rated 5 out of 5 by Beth Cardinal from Lovely color! I so love this color!!!! Goes well with my silver and black leather bracelet. Rated 5 out of 5 by Hebby86 from Looks better in real life! It looks so much better in real life than on the website. I didn't like it when I saw it online, but I tried it in store and OMG it's now one of my absolute favourites! It's so sparkly and a beautiful colour. Much more vibrant and beautiful than how it looks in photos. Rated 4 out of 5 by crystal0 from satisfied my purchase l bought 2 charms and get a free bangle.The silver castle and pumpkin coach are really nice, but a little bit expensive. Rated 5 out of 5 by Alexis Smith from Completely in Love! I bought this for my bracelet and it looks so good! I love it! It matches/makes my Guardian Angel Charm and Gold charms stand out. I also have a light blue charm that pops with this charm next to it. So happy to have bought this charm. Rated 5 out of 5 by M Jazmine from Gorgeous just gorgeous Bought this last with the Princess Jasmine charm. Love the intense color.